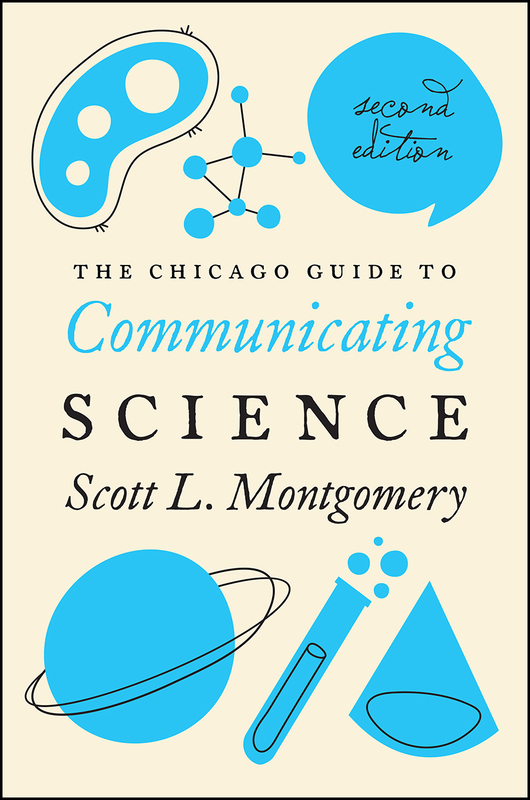 For more than a decade, The Chicago Guide to Communicating Science has been the go-to reference for anyone who needs to write or speak about their research. Whether a student writing a thesis, a faculty member composing a grant proposal, or a public information officer crafting a press release, Scott Montgomery’s advice is perfectly adaptable to any scientific writer’s needs. This new edition has been thoroughly revised to address crucial issues in the changing landscape of scientific communication, with an increased focus on those writers working in corporate settings, government, and nonprofit organizations as well as academia. Half a dozen new chapters tackle the evolving needs and paths of scientific writers. These sections address plagiarism and fraud, writing graduate theses, translating scientific material, communicating science to the public, and the increasing globalization of research. The Chicago Guide to Communicating Science recognizes that writers come to the table with different needs and audiences. Through solid examples and concrete advice, Montgomery sets out to help scientists develop their own voice and become stronger communicators. He also teaches readers to think about their work in the larger context of communication about science, addressing the roles of media and the public in scientific attitudes as well as offering advice for those whose research concerns controversial issues such as climate change or emerging viruses. More than ever, communicators need to be able to move seamlessly among platforms and styles. The Chicago Guide to Communicating Science’s comprehensive coverage means that scientists and researchers will be able to expertly connect with their audiences, no matter the medium. 8. Professional Scientific Communication: Where Does It Happen? "That the author excels at demystifying the language of science will surprise no one who is familiar with the original edition. Montgomery again provides accessible, actionable advice that will help researchers excel at the fundamentals of their craft, from writing and reviewing scientific manuscripts to drafting compelling grant proposals and to delivering engaging oral presentations. However, it is in the second edition's newest material that the book truly shines. The author's exploration of new topics such as teaching science communication, communicating science to public audiences, science translation, and online communication necessarily address the increased dynamism of the modern communication ecosystem for science."